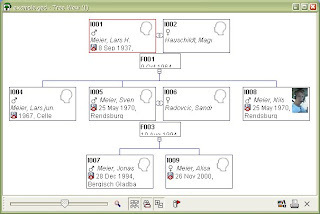 A computer program used to collect, visualize, and publish genealogical data is called a Genealogy (the study and tracing of families) software. At a minimum, genealogy software collects the date and place of an individual's birth, marriage, and death, and stores the relationships of individuals to their parents, spouses, and children. Additionally, most genealogy programs handle source citations, additional events in an individual's life, free-form notes, and photographs and other multimedia. Genealogy software programs can produce a variety of graphical charts and text reports. Some desktop applications generate HTML pages for web publishing, and there are stand-alone web applications as well. 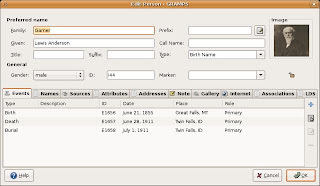 GRAMPS, an acronym of Genealogical Research and Analysis Management Programming System, is the leading free genealogy software. It is a part of the GNOME project. Originally it was only available for Unix-like operating systems, but since version 2.2.0 it has also been available for Windows. GRAMPS allows you to easily build and keep track of your family tree while providing all the common capabilities of other genealogical programs, and the ability to input facts or information directly into GRAMPS. It is possible to rearrange and manipulate any data event in the entire data base (in any order or sequence) so as to assist the user in doing research, analysis and correlation, thus for example identifying possible links between individuals and so filling relationship gaps. 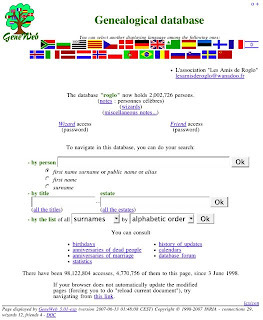 GeneWeb is a genealogy software tool with a Web interface, which may be used either off-line or in a Web environment, and was initially conceived by Daniel de Rauglaudre. It uses very efficient techniques of relationship and consanguinity computing, developed in collaboration with Didier Rémy, research director at INRIA. GenealogyJ is a viewer and editor for genealogic data, suitable for hobbyist, family historian and genealogy researcher. GenealogyJ supports the Gedcom standard. Many reports like family tree, table, timeline and geography are available. LifeLines is a free genealogy software tool to assist family history research. Lifelines was originally written by Tom Wetmore circa 1991-1994. Its primary strengths are its powerful scripting language and the ability to easily import and export information in the GEDCOM format. At present, LifeLines uses a text-based interface. A couple of experimental GUI interfaces are in development, but currently lack the stability and core functionality to make them suitable for release. 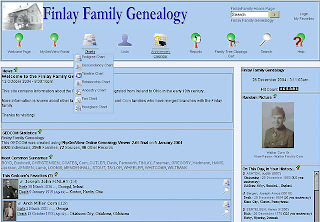 PhpGedView is a free PHP-based web application for working with genealogy data on the internet, founded and headed by John Finlay. The application is installed on a webserver along with a GEDCOM file. An external genealogy program can be used to create, edit and upload the GEDCOM, and it can also be edited directly in phpGedView by multiple users registered via the web interface. Through version 3 it worked in both MySQL and a non-database index mode. From version 4 on, it works only with a database. 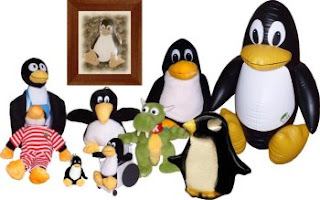 On June 26, 2006, the phpGedView site announced that phpGedView was the most active project at Sourceforge. Useful stuff. I've been using GeneWeb and I want to try out others that are listed there. Thanks. I've been using GenealogyJ with great results. I used Linux (and Windows sometimes) and its very handy that the Java implementation is portable. It has never crashed on me, and it has never corrupted my data in periodic use. My gedcom file has about 200 people being managed. GRAMPS has just released its very new rewrite of 3.0.0, and is in the process of being ported as .deb and .RPM files. If you are new to GRAMPS I would perhaps suggest looking at the 2.10 version available for download, unless you are happy with such a new release. There should be no problems but testing can only go so far, it is only when it get to the thousands of users is a system fully tested. Have not yet tried Geneweb and lifelines. Hi guys. I'm in the final year of studies at the university and I make Historical Photo-Digital Library. The user of the system should be able to archive digital photos into different categories which will be enriched with appropriate metadata and can be automatically recorded on digital maps such as the Google Map. The system will be the anointing of metadata gives various information such as the movement of population and family relations between people (family tree) for the manners and customs as well as historical content information. Can you recommend some very good open source program – project that will help me in the above work.